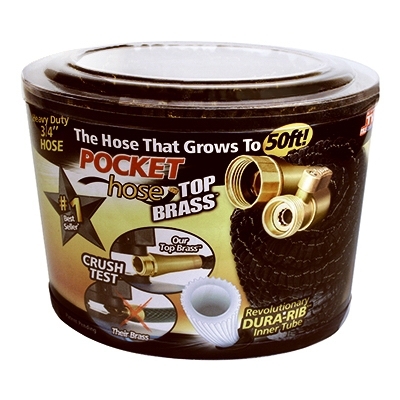 Pocket Hose Top Brass, 50 ft.
'As Seen on TV!' Lakeland Yard & Garden carries the hose that grows to 50ft.. The Pocket Hose! It's better and stronger than other brass hoses. Tuff-Guard Perfect Garden Hose, 50 ft. The Perfect Garden Hose’s unique polypropylene double helix construction makes this the most flexible and only “unkinkable” garden hose. 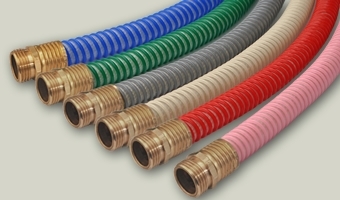 All of these features make The Perfect Garden Hose ideal for residential and light commercial users. The hose is as suited for washing your car, RV, or boat as it is for wash-down use in industrial plants, horse barns, and landscape applications.